Three out of four weeks, we are given a choice of two items to use as a prompt with the fourth week being freestyle. This week is Art Week. The choices are a photo by Arthur Browne, and a piece of art by my favourite artist, Victoria Frances (with my favourite piece of art by her) If you would like to have a go at creating your own Haibun, then take a look at the Haibun Thinking blog. I chose Arthur’s photo of the fence. I sometimes play a game on my console called Destiny, and one of the lines in that is in that game resonated with me and it is one that will stick in my mind for a long time. It is odd when a game can do that. Everything we do has an effect not only on us, but on others around us. Every decision, every smile, every nuance, everything changes something or someone. If we nod to someone, we may change that person’s attitude; if we hold a door open for someone, we alter the way their day was going to go; if we hear a baby laugh the chances are our mood will lift. Likewise, if someone is nasty to us, it can change our day downwards. Someone jumping the queue ahead of us can (and probably will) annoy us. Seeing someone crying can sadden us. These are things that automatically happen to us. We don’t choose the change when someone smiles at us. We don’t choose the gratitude when someone holds the door open for us. We don’t choose the lift when we hear a baby laugh. You see an article on the news… terrorists attack somewhere – the majority of us feel for the people injured. We choose to feel for these people. The same way there are some people who will choose to feel for the terrorists. In a war, people choose who they support. We choose whether to support Democrats or Republicans. We choose whether we support Conseratives or Labour. We choose which football team to support. We choose whether to support a team or not. Sometimes we choose to sit on the fence. Although there are times we can’t do that. If you sit on the fence too long, you will get splinters. There comes a time where you have to choose. 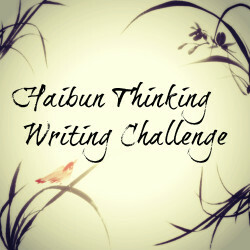 This entry was posted in Haibun Challenge and tagged Arthur Browne, Challenges, Destiny, Haibun, Haibun Thinking, Haiku, Life, November, Postaday, Victoria Francés. Bookmark the permalink. Great piece, Al, sorry I did not manage to read it earlier. And surprised to read in the comments that you hide from view. The photos I have from when we met are cool, apart from the fact there is a whole lot of hair flying around on both sides! Very cool haibun and very interesting … loved your choice 😉 and great wit! beautifully written Al. I’ve watched an advert of that game, seems interesting. You know how to sum up your words! Thank you Seyi 🙂 I also wanted to make sure I got it in this week as I missed last week’s as I was very busy. There was a show here a few years ago about a family of wizards. Part of the theme song basically said you had to be careful how you used magic because everything did change and rearrange – you must choose. And it that became very apropos when the three children found out that only one of them, after a certain age could maintain their powers. I almost wrote about the fence, but I went the other way. The Wizards of Waverley Place. It was one of the few Disney shows I will admit to watching because some of the storylines had very powerful undertones about dealing with life, and with them it was the knowledge of loss as well. I liked it because I sort of remember the area. There was once an old movie theater located there; at Waverley Place – At one point it was the place to go to see the ‘new’ Beatles Movies. Not sure if they change hands, names or even location. But as you can see on the little map the place isn’t far from Waverley Place. I used to play at Washington Square Park in the 1960’s. This is a really thought provoking post Al. Especially the bit about some people choosing to side with the terrorists, it’s true. I have had a person in my past life, who was supposed to be my best friend at school, yet when I was being bullied, she decided to sit on the fence, by maintaining relations with those who were bullying me and not saying anything. Another friend however, who was not so close at the time, did stick up for me and I am still friends with her now. Although I don’t see her much, I will always consider her to be my friend, because she was one of the only people there for me, in my time of need. People like are the best kind of friends to have. When you don’t know them well and they come to you when you need it, that is what a friend is. You don’t have to talk to them every day to know that they are there. And you would probably start talking to her as if you have never been apart. Or talking to him – I guess you talk from experience and have a person in mind Al. I talk more to male friends than female, including over the net. I do. More female than male that is. I tend not to see or meet people outside of the internet – although they don’t see me anyway haha. When I was playing a game with a friend the other day – the game I referred to here, his headphones were broken so we used skype, and he was decent enough to tell me that my video was on as he knows how much I don’t like to be seen. Al, I have seen a photo of you and you are fine, more than fine. You look like a very warm, friendly and welcoming person, just from your photo. Be proud of who you are, there is no reason for you not to show you, you are great. You met Ute and the photo of you two was great. 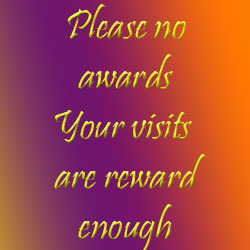 I have to get into using Skype more, so maybe you will get to ‘see’ me one day, if I am lucky. Seen you on your videos 🙂 Although i use skype to talk to some of my friends, it is with the video off. I have a friend who will tell me that my video is on as he knows how much I dislike it, and he will stop anyone else joining the conversation until I have taken it off. I have no one else here but my piggies. I have to prepare to be in video via Skype. Otherwise I only use the voice facility. If you are not comfortable with video, then you aren’t. I will be doing more videos and still have some to publish. Amazing. Thank you for the insight about the fence. Somewhere I have some photos of the crematorium on Liberty Island. A long while ago we got a hard hat tour before all the renovations. I had an old Instamatic that ended up doing a couple of double exposures. I’ve only been to The Holocaust Museum in Washington DC – also as an adult. But I remember some very disturbing footage of that time when I was in sixth grade. The barracks rooms were also creepy… I did a post about it along time ago. Maybe I should do a post with all the pictures. My FIL and his BIL (others family too) were in WWII – your post (if and when) would be both a memorial and an honorarium. But they never do, do they… sigh. I did enjoy that, thanks. Ohh. I can imagine how heart rending those are. I love that…”sitting on the fence gets you splinters”. Oh how true, Alastair. The narrative and the poem at the end were perfect.